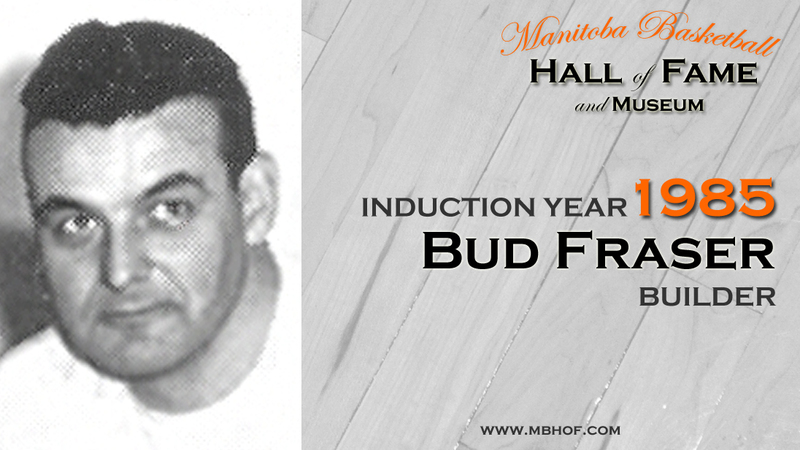 Bud coached the men’s varsity team at the University of Manitoba for 14 years, starting in 1951. During that time, he made a significant contribution to developing basketball at both the U of M and in the city. Prior to his arrival, the U of M had withdrawn from the Western Canada Inter-University Athletic Union, consisting of universities from Alberta, Manitoba, and Saskatchewan. Bud fought for and received permission from administration to renew the U of M’s membership in the WCIAU. He also developed a competitive basketball team, winning three consecutive WCIAU championships in 1955, ’56, and ’57. Bud also served on the Executive of the senior men’s league for a number of years. In addition, as commissioner for high school basketball in Winnipeg, he was instrumental in bringing coaches and referees together in the pre-season to discuss rule interpretations, with the aim of developing a consensus on how the rules would be administered. Bud also represented Sport Canada at three Olympic games and two Pan-American Games.